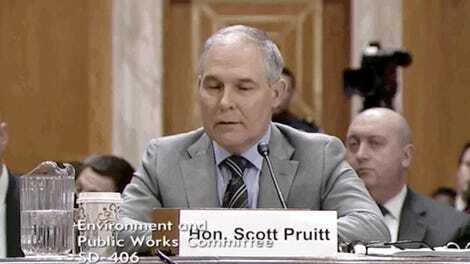 At this point, Scott Pruitt is a walking scandal with a law degree. The Environmental Protection Agency administrator’s latest foray into impropriety is the revelation that he spent much of 2017 shacking up at a Washington, D.C. apartment owned by the wife of an energy lobbyist. Stephen Hart, the lobbyist in question, told ABC News—who broke the story—that he thought Pruitt was paying market rate. 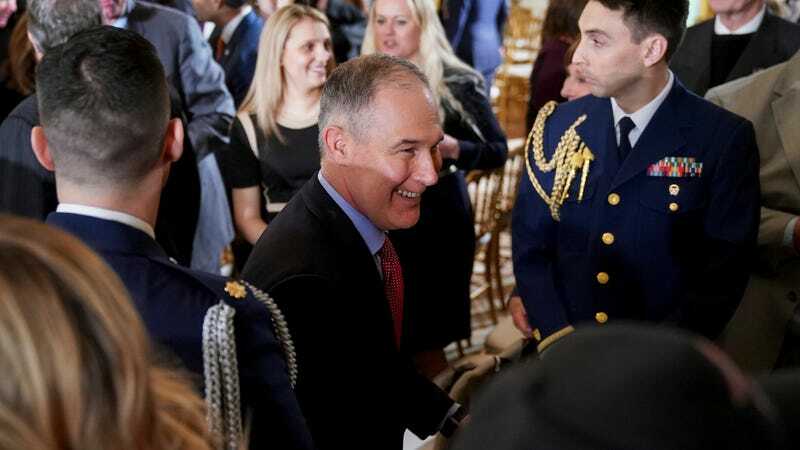 Subsequently, Bloomberg News revealed that Pruitt paid $50 per night to rent a room, but only paid for nights he was there. A quick search of Airbnb shows the average room price in the District runs $81 per night and Capitol Hill—the neighborhood where the condo Pruitt stayed it—runs $89 per night. Pruitt got a pretty good deal, especially for a guy pulling $189,600 annually. Maybe he’s just a really good haggler! But damn if it doesn’t look just a little shady considering Hart is an energy lobbyist who has focused on liquified natural gas, and Pruitt has gone out of his way to promote natural gas despite it not being his job. Luckily, this mess is all cleared up. An EPA ethics counselor told Bloomberg Pruitt’s bargain-basement apartment was okay because he “paid rent,” and Pruitt has since found a crash pad elsewhere. But should he ever find himself down on his luck again, Earther has found a few Airbnb listings in his price range, free of the stench of selling favors. But hosts beware, your front door may be kicked in by the administrator’s security detail. If there’s anything that screams EPA administrator, this is it. There’s a compost bin, it’s fragrance-free, and “recycling is a must.” It’s probably also free of pesticides for children to handle. At $50, it’s also dead center for Pruitt’s price range. One bedroom, a block away from Eastern Market! This little basement room stays cool in the summer according to the listing. A major boon if you’re the type concerned about climate change. Sure, the bed is on the floor but at $45 per night, what do you expect? The owner of this sweet pied-a-terre travels quite extensively. Sounds like her and Pruitt could have something to talk about over breakfast in the welcoming kitchen. Added bonus: it’s only $35 per night. “Twin bed, in my office space.” The description may sound spartan, but having immediate access to a quiet office space to make phone calls makes $50 per night a bargain. Now this is a little further afield than the Capital Hill condo Pruitt was staying at. But it comes with free parking for whatever type of car the EPA administrator drives, which makes it a steal at $40 per night!